AVAILABILITY: Applications for apartments, town homes, and homes will be accepted on a first come first serve basis and subject to the availability of residential type requested. RENTAL APPLICATIONS: Rental applications are to be completed by each applicant age 18 or older. Any omissions or falsifications may result in rejection of an application or termination of a lease. A driver license or other legal photo ID will be required for identification. APPLICATION FEE: A non-refundable fee of $32.00 is required for processing of the application. There is a one fee per person policy. All adults must fill out an application. YOUR APPLICATION WILL NOT BE PROCESSED UNTIL THE FEE IS RECEIVED. AGE: You must be eighteen (18) years of age to apply for an apartment. QUALIFICATION CRITERIA: In determining an applicant(s) for residency, it is necessary to obtain income, employment, credit, criminal, and rental history. The application may be accepted, accepted with conditions, or declined. 1. Income– It is suggested that your gross monthly income equal three times the rent amount. Red Top Rentals, Inc. will verify all sources of income. 2. Employment– We will verify employment history. Applicant must be at their present employment for at least six months. In the event of an applicant who is self-employed, written verification of one year’s income must be provided. 3. Credit History– Bankruptcy: Less than 7 years old. Foreclosure: of a previously owned home in the last 7 years. Legal Items: Any legal items against the applicant that are less than 7 years old. Collections Count: More than 8 collections (excluding medical). Landlord/Utility Collection: One or more landlord or utility collection in the last 7 years. Credit Score is below 550. If below 550 conditions may be required on lease such as an extra security deposit or Guarantor required. GUARANTOR ACCEPTANCE: In the event a guarantor is permitted, he/she must fill out an application and meet the same qualification criteria listed above except credit score should not be below 700. 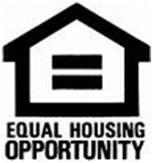 A guarantor will be equally responsible for the lease if the occupying resident defaults. 1. Security deposit equal to one month’s rent must be paid. 2. You will need to bring your driver’s license or picture ID with you to the office. 3. Renter’s insurance must be obtained within 14 days and a certificate of insurance must be placed on file in the office in that time. Any information that is provided will be held in the strictest confidence. We do not sell or share your information. Your application fee must be received before your application will be processed. Please call the office at 540-941-3588 to find out your options of payment. By submitting this application you hereby state and represent that the information provided by you in this application is complete and accurate. You authorize Red Top Rentals, Inc. to verify any and all information contained in this application, and you release all concerned from any liability in connection with any information they give. You acknowledge and agree that in the event you enter into a lease with the owner that lease may be canceled by the owner in the event any of the information provided by you in this application is materially inaccurate or incomplete. You understand that the rules and regulations are adopted for the benefit of any residents and proper operation of the property and you agree that the residency will be subject to them. You may use the form to the right to fill out the basic information needed to run your application. If there is more than one applicant for a residence they must also fill out the application. Any further information that is needed will be obtained upon approval of your application. How long did you reside at previous address and reason for moving? Copyright 2007 Red Top Rentals, Inc. All rights reserved.